If there is one thing that we cannot get enough of, is the books for our kids. 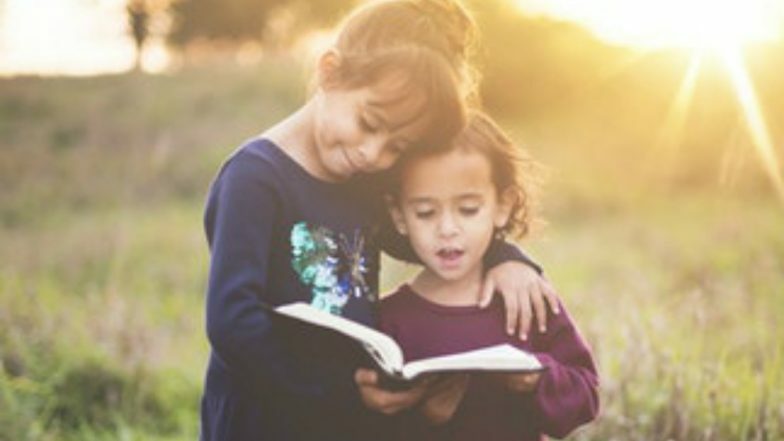 We are thankfully living in a golden age of young-adult literature, when books specifically written for the kids are equally adored by readers of all ages. Reading is something that resonates with us, as a parent, teacher and as kids we once were ourselves. International Children's Book Day (ICBD) 2019 is indeed the perfect excuse for us to rejoice our teenaged reading moments, while listing down the books that our future generations must have on their bookshelves. Although, it cannot be denied that each book has its own charm, there are a very few, which have touched our souls for the longest of times and we are never tired of reading them over and over again. Hence, all of them are definitely a must read. 5 Weight Loss Books by Indian Writers. International Children's Book Day is a yearly event, which is sponsored by the International Board on Books for Young People (IBBY), an International non-profit organisation. Founded in 1967, Children's Books Day is observed on the popular writer and Danish author Hans Christian Andersen's birthday. There could not be any considerable time to look at some of the best lists of books that your budding readers must read during their idle time. A.A. Milne named the characters in his classic children's book after his own son Christopher Robin, his cuddly teddy bear, his stuffed animals' Piglet, Tigger, the donkey and others. Winnie-the-Pooh offers innocence, simplicity and a happy place to escape from any stress. It is okay, if your kids have already read the short stories, as long as they have kept that little sparkle which glittered with joy every time Pooh sang his theme song, they are all fine. Iconic Disney Character Winnie The Pooh Was Originally a Female. It was in 1947, when seemingly everyday thoughts of a teen girl were published. But they were not so every day; they were thoughts of a 13-year-old girl, Anne Frank in a unique position to make the world understand what it was like to have to hide your entire existence in exchange for a mere chance at surviving the Nazi regime. Charles Dodgson's Victorian fantasy was an instant sensation when published 154 years ago, in 1856 under the pseudonym Lewis Carroll. Till date, Alice's trip down the rabbit hole and her encounters with the Cheshire Cat, the White Rabbit, the Queen of Hearts and the rest are fresh fodder for the literary imagination. This empowering storybook is a very welcome addition in children's world of nonfiction. About one hundred extraordinary women are profiled in mini-biographies, alongside remarkable full-page portraits by female artists. The stories are not sugar-coated, and the emphasis is on overcoming obstacles and preserving, and a must-read for the children to dream bigger. Raised by wolves, Mowgli has to face the terrible tiger Shere Khan, with the help of Baloo-- a sleepy brown bear and Bagheera-- a panther. Full of invention and adventure, the stories were an immediate hit after its release. Their wildness and subtleties have become thoroughly inspiring into the popular imagination. Tom's Midnight Garden is considered by many to be one of children's literature's most outstanding examples. Tom is packed away to stay with his aunt and uncle, but soon as the clock strikes thirteen, he discovers a gorgeous garden and in it a little girl, Hatty who seems to come from a different time. The work is emotionally rich and will leave a lasting impression on your child. The autobiography of Malala Yousafzai, a Pakistani activist who stood up for the right to education at her teenage, is the most thrilling book that we have come across so far. It is not just the most entertaining, but an important book, which I would strongly recommend to everyone. The book is proof that teens can make a difference. These were only a few, out of so many favourites that I have left out. Each book a spell in itself. And like many things, we pass them to the upcoming generation. They are thrilling, inspiring and deserve to be in every kids' bookshelf.